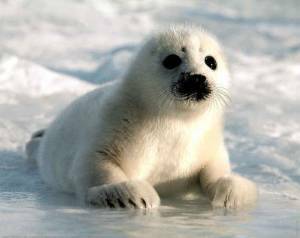 Now I ask you, who wouldn't adore this cute and cuddly little ball of fur Harp Seal? I simply love those small tuffs of fur that resemble eyebrows on this baby seal! 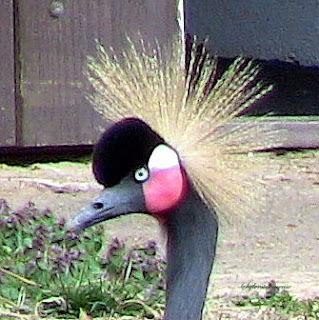 This is one of those creatures that just looks like they were made to love. However, we better love them while they are young. When Harp Seals are grown, they weight more than a baby elephant. Of course, I love baby elephants too. I just don't envision myself picking one up and giving it a hug. Because their coat color changes several times over the course of their lives, they have different names associated with them which describe their coat and reflects their age. Something I did not choose to cover in great detail is the hunting of Harp Seals. Bring Home Your Own Baby Harp Seal Today! I've always loved the Harp Seal. The baby, beginning with all white fur at birth as a protection against predators) is SO adorable. Wonderful article about the Harp Seal.